1. 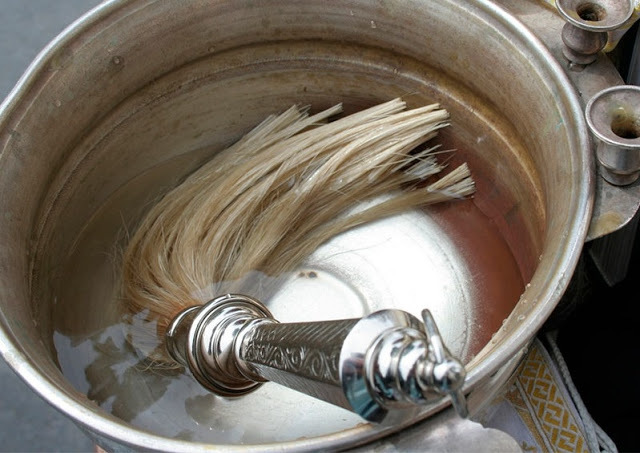 Houses are traditionally blessed with “Theophany water” each year. 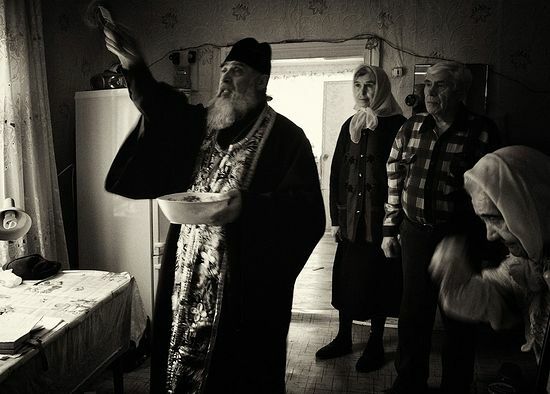 A house can be blessed at any time, but the usual season for yearly blessings is from Theophany until the beginning of the Lenten Triodion, which begins four Sundays before Great Lent begins. This is not a hard and fast rule, but a good rule of thumb. 2. Some people place great importance on “Theophany water”. This is just water that has been blessed with the Great Blessing of the Waters service on Theophany. Another name for this water is simply “Holy Water”. We can bless water any time of the year that there is a need for it. 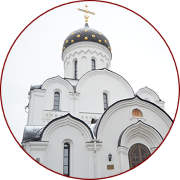 In Moscow, for example, there is a huge vat of holy water that the faithful partake of regularly. On regular basis, the vat is refilled with water when it becomes empty, and this new water is blessed. The water blessed in for instance, August is no more and no less “holy” than the water blessed on Theophany. 3. 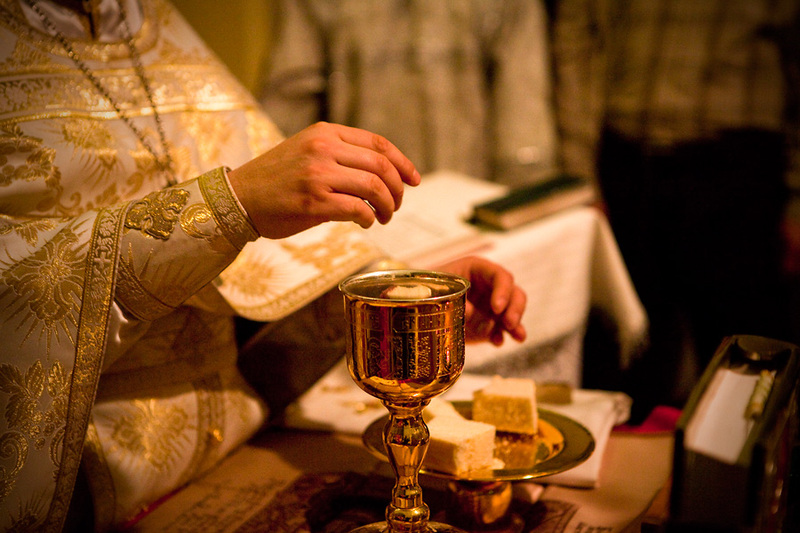 Water is blessed using the “Great Blessing of the Waters” service two distinct times during Theophany: after Vespers on the Eve of Theophany and after the Divine Liturgy on Theophany. The blessings are identical, and the water is identical. 4. In many places, it is traditional to bless water in lakes or rivers. 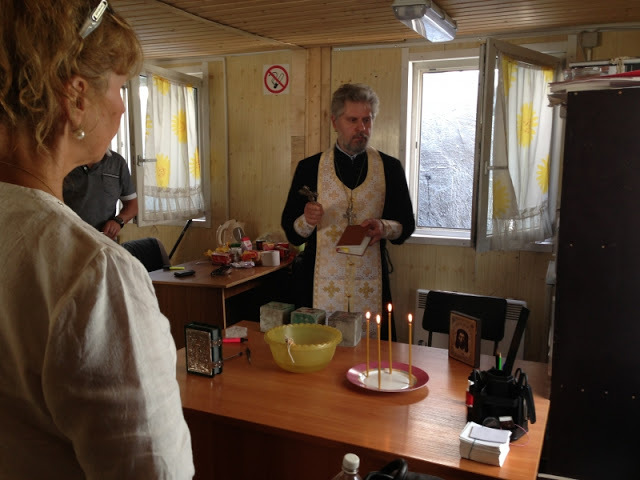 In Russia, clergy often go to such a place, and bless the cold water after a hole has been cut in the ice. Many people will take a dip in the water after it is blessed. 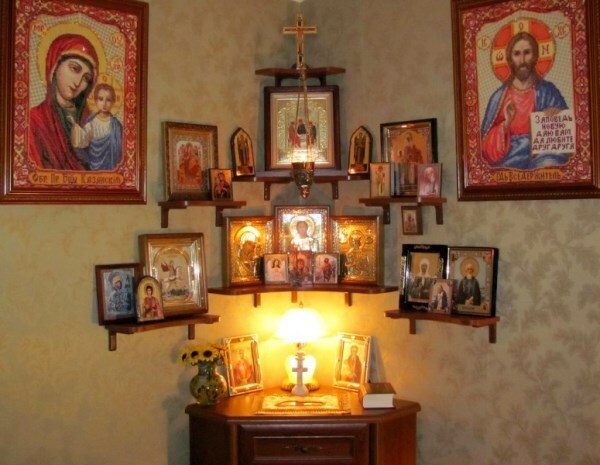 Many pious homes supply a bowl, candles and the family Theophany icon. The family should provide the priest with a list of all family members, living and deceased. The bowl and icon should be placed on a clean table with a cloth on it, preferably near the family icon corner. It is good for candles to be lit. The house should be clean, with all radios and televisions off. The priest will bless all rooms of the house except the bathrooms. In homes with children, it is always good for the little ones to carry a candle or a small cross and “lead” the priest throughout the house. An elder member of the house may also do this. 6. The basic order for a simple home blessing is as follows. a. The bowl of water, icon and lit candles are placed on a clean table. IF there is a censer, it may be lit. b. The priest begins the service with a blessing and the Trisagion prayers (O heavenly King through the “Our Father”.) It is always preferable that the eldest of another member of the family say the Trisagion prayers. 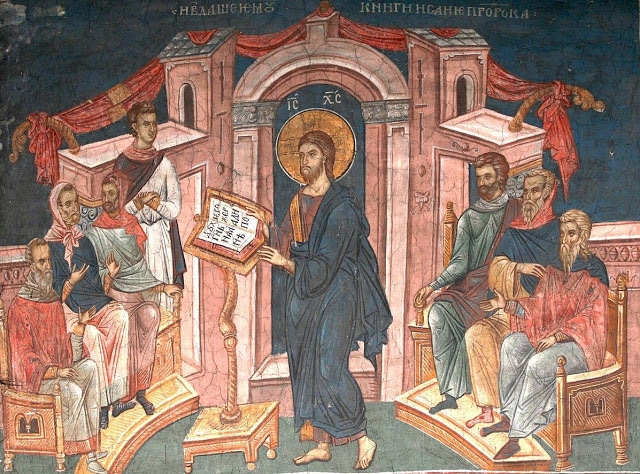 Tone 1: When Thou, wast baptized in the Jordan, O Lord,/ the worship of the Trinity was made manifest;/ for the voice of the Father bare witness to Thee, / calling Thee His beloved Son./ And the Spirit in the form of a dove/ confirmed the certainty of the word./ O Christ our God, Who hast appeared// and hast enlightened the world, glory be to Thee. It is a very good idea for the family to sing this troparion, and know it by heart. Otherwise, of the priest has many houses to bless, his voice will get tired! d. Upon finishing blessing the house, the family gathers again at the table, and a short litany is said for the welfare of the family. The priest should have been provided a list of all family members, including those who are ill.
e. After this a short prayer, and the service is ended. f. It is entirely appropriate the deceased loved ones of the family be commemorated from a list provided to the priest. g. Sometimes the family wants to give the priest a little something to eat; depending on the time the priest has, he may stay and visit. 7. When a priest visits, it is NEVER required that the family gives him money. The scripture tells us “Freely you have received, freely give”. 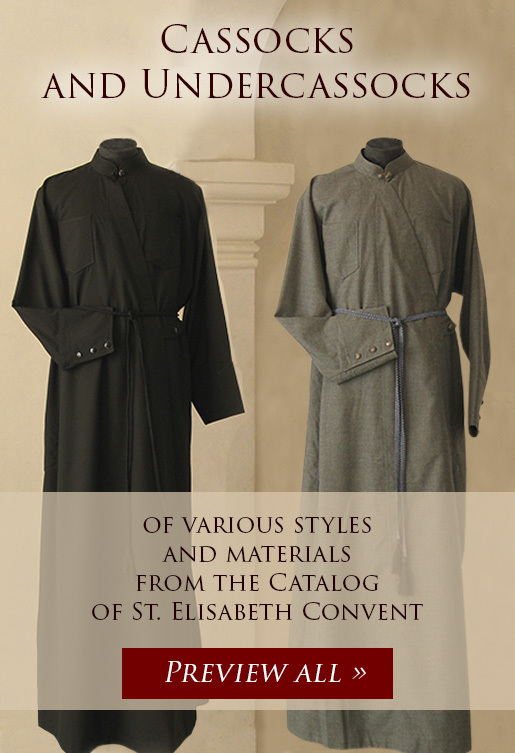 It is a pious custom among some to give the priest a donation at this time, but this should never be though of as a requirement. The priest comes to the home because he wants God’s blessing to be upon it, and to know those in his flock better and to be available to them.